Now that Chinese President Hu Jintao’s state visit to the United States has almost come to an end, editorials in the Western media reflect a sense that the U.S. approach to China cannot be separated from human rights. Following US Secretary of State Hilary Clinton’ speech [on China’s human rights issues], along with the White House’s repeated insistence that human rights be one of the discussion topics between Presidents Obama and Hu during their meeting, anticipation ran high in the American media over where Obama would position himself on China’s human rights record. At the welcoming ceremony in front of the White House, Obama stated the importance of universal rights in maintaining peace and achieving success. During a joint news conference with Hu, Obama again repeated the same message, but such actions failed to satisfy the expectations of those in the American media establishment. The Washington Post immediately published an editorial criticizing Obama’s performance on human rights, describing it as even weaker than Hu’s. The editorial went on to state that during the joint news conference, when an Associated Press reporter asked Obama to comment on China’s brutal oppression of its people, the president quickly turned to differences in the two countries’ political systems, cultures and histories, in an attempt to defend China. Hu Jintao, on the other hand, gave a direct response by simply saying China needs to improve its human rights record. Such vitriol in the American media reflects the inflated sense of ethical superiority it has maintained vis-a-vis China, in contrast to Obama’s more practical approach. Although Obama touched only briefly on human rights issues during several public events with Hu, that does not mean the White House has given up using human rights as a bargaining tool with China. In fact, it is quite the opposite. In order to gain greater benefits from the Sino-US relationship and to convince Chinese leaders to acquiesce to certain requests from Washington, Obama has already done significantly more than former US presidents. Recall that shortly before Hu’s visit, the US dispatched three aircraft carriers for drills in waters near China’s coast, while Hilary Clinton repeatedly reminded Southeast Asian nations to remain wary of their larger neighbor. US Treasury Secretary Timmothy Geithner and Secretary of Defense Robert Gates, meanwhile, continued to pressure China on both the economic and military fronts. A few days before Hu’s arrival, Clinton also delivered a long speech criticizing China’s human rights record, naming several Chinese dissidents. Her tone was not friendly. In light of these earlier maneuvers, Obama could afford to simply sit by and wait for them to bear fruit. Meeting with Hu Jintao, furthermore, is not a time for swords and arrows, given the fact that he arrives with $45 billion worth of business opportunities and 230,000 potential jobs. Obama, who is preparing for re-election next year, has only one year to work on his score card, with the economic downturn the number one concern for American voters. Obama needed Hu’s help in burnishing his record. With the US going through an “L” shaped economic rebound, and with unemployment rates remaining above 9 percent, the American government and leading politicians have put the blame for the country’s slow recovery on China. Their reasons include China’s manipulation of its currency, unfair competition and China’s closed market, tropes that have become a central feature of political dialogue here. According to a recent poll conducted by the Washington Post and ABC, about 60 percent of Americans believe China poses a threat to the US job market and the country's safety. Among those more pessimistic about the American economy, over 70 percent believe China is a direct threat. According to another poll conducted by the Wall Street Journal and NBC, when asked which country will be the dominant superpower in twenty years, 38 percent answered China, while only 35 percent said the US would hang on to its current privileged position. Compared to the same poll conducted in 1995, only 3 percent of respondents believed China would become the world’s dominant nation. Given such positions, Obama’s greatest task is to convince the American public that he is capable of meeting the challenges posed by China. First, he must outmaneuver China in regional politics, followed by steps that turn China’s economic growth into clear benefits for the U.S.
Hu, for his part, brought sizable contracts, while also agreeing to allow China’s yuan, or Renminbi, to appreciate in value. Though Obama had hoped for speedier action on currency and other issues, he has met with some success, whether it be containing North Korea, strengthening the US-Japan-Korea alliance, improving the trade gap with China, and increasing domestic employment. Along with measured human rights advocacy, his job in meeting with the Chinese leader was pretty much accomplished. 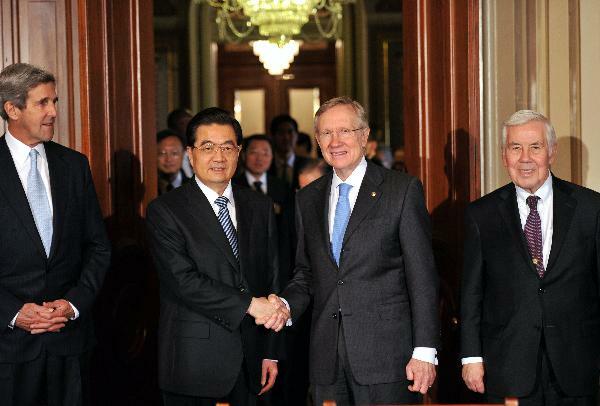 As for Hu Jintao, he remained low profile during his stay in Washington DC, and did not plan to draw any attention. Though his attitude might be interpreted as shying away from a fight with the US, such an approach suits China’s needs given the current state of Sino-US relations. China is eager to maintain its rate of development, which requires both room and time, a strategy the Chinese call “tao guang yang hui” -- concealing one’s ability while waiting for the best opportunity. A tense Sino-US relationship is not beneficial to China. Looking at it from a public relations perspective, Chinese leaders may not be as articulate or as quick to react as their American counterparts, but when measuring the efficacy of such an approach, behind the scene dealings should not be overlooked. 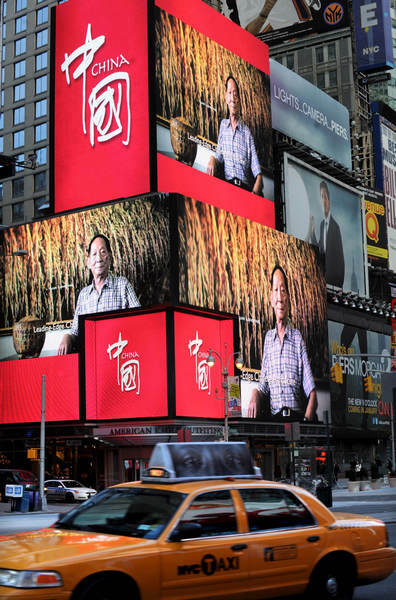 'Experience China' debuts at Times Square - A video show about Chinese people made its debut on screens at Times Square on Monday, presenting Americans a multi-dimensional and vivid image of Chinese people. 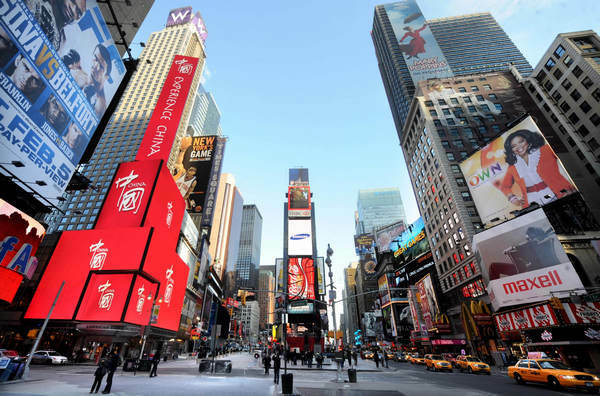 With China's traditional red as the theme color, the 60-second video was shown on six screens simultaneously at Times Square with a billboard written "Experience China" on top of the screens. The show highlights Chinese ordinary people and some important figures recognized by the international community, including Chinese pianist Lang Lang, basketball player Yao Ming and Chinese astronaut Yang Liwei, etc. "The layout of the video is quite smart. I like it," Charlotte Mcguckin, 18, a high school student in New York, told Xinhua, adding that "everyone (in the video) looks happy." "Look, that's Yao Ming. I can recognize him, and also the female table tennis player standing beside him. She is very famous, " she said, pointing to the giant screen. "I learned in class that US and China started diplomatic ties from playing the table tennis," she smiled. For Si Yaqin, who came to New York with her son for vacation, watching the debut of the video is a once-in-a-lifetime experience. "It's my first time to New York, first time to Times Square," she said. "How lucky I am here to witness this moment. I feel so proud as a Chinese." The video is part of the public diplomacy campaign by the Chinese government ahead of Chinese President Hu Jintao's US state visit. The video will be shown at Times Square 15 times every hour from 6 am to 2 am next day, totaling 20 hours and 300 times a day. It will last till Feb 14 with a total of 8,400 times of show time. Meanwhile, CNN also plans to run the video from Jan 17 to Feb 13. 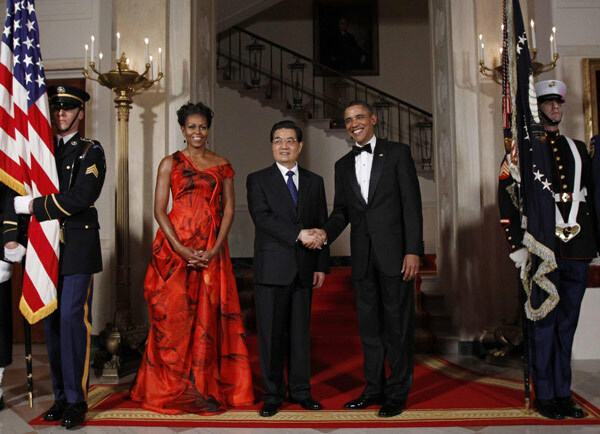 Chinese president attends private dinner hosted by Obama - Visiting Chinese President Hu Jintao attended a private dinner hosted by U.S. President Barack Obama at the White House Tuesday night. Obama held a 3+3 highly private dinner on the very night of Hu's arrival in Washington, with State Secretary Hillary Clinton and Assistant National Security Donilon on the US side, and State Councilor Dai Bingguo and Foreign Minister Yang Jiechi on the Chinese side attending the dinner. Obama and Hu made positive evaluation on the progress made on bilateral ties, and said they are ready to further advance the existing positive, cooperative and comprehensive relationship, according to a Chinese foreign ministry press release after the dinner. Hu said he comes to the US for the goals of enhancing bilateral understanding and mutual trust, and enlarging exchanges and cooperation, according to the press release. Hu also comes for the goals of strengthening effective coordination between the two countries on major regional and international issues, and to embark on new era in China-US relation. "I look forwards to exchanging in-depth views with Mr President Obama tomorrow, and jointly discuss blueprint of China-US cooperation," said Hu. President Hu Jintao and US President Barack Obama take part in a pomp-filled welcoming ceremony staged on the South Lawn of the White House - President Hu Jintao and US President Barack Obama said yesterday that the two nations had opened a new chapter of co-operation in a fast-changing and interconnected world. Speaking at a formal welcoming ceremony on the South Lawn of the White House, Hu said China and the United States shared many common interests and both sides would "work together to open a new chapter of co-operation as partners". Obama, in his speech, said the 30 years before the normalisation of ties were a "time of estrangement for our two countries", while "the 30 years since have been a time of growing engagement". "With this visit we can lay the foundation for the next 30 years," he said. Hu, representing a more confident China, repeatedly used the phrase "co-operation as partners", and said bilateral relations should be based on mutual respect, a win-win approach, facing challenges together by enhancing co-operation on international affairs and improving civilian exchanges. Both countries "share broad common interests and important common responsibilities", and should adopt a long-term perspective and seek common ground while reserving differences, Hu told Obama. Hu, dressed in a black coat and grey scarf, was given a pomp-filled welcoming ceremony. A colour guard stood to attention as VIPs, officials and journalists looked on. Former Hong Kong chief executive Tung Chee-hwa also attended the ceremony, standing behind US ambassador to China Jon Huntsman. Obama said the visit was a chance to demonstrate that "we have an enormous stake in each other's success". "The United States welcomes China's rise as a strong, prosperous and successful member of the community of nations," he said. "Indeed, China's success has brought with it economic benefits for our people as well as yours, and our co-operation on a range of issues has helped advance stability in the Asia-Pacific and in the world." Obama added: "Even as our nations compete in some areas, we can co-operate in others." Obama, who is under immense domestic pressure to raise human rights concerns with Hu, gently touched on the thorny topic. "History shows that societies are more harmonious, nations are successful and the world is more just when the rights and responsibilities of all nations and all people are upheld, including the universal rights of every human being," he said. After shaking hands with excited audience members, Chinese and American, the two presidents proceeded to the Oval Office where they held talks on wide-ranging issues. Tao Wenzhao , a senior research fellow with the Chinese Academy of Social Sciences' Institute of American Studies, said Hu wanted to set the tone of his US visit with the repeated notion of "co-operation as partners". 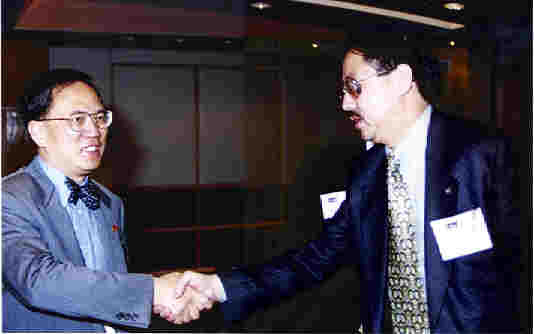 Jin Canrong , associate dean of Renmin University's school of international relations, said: "It [the summit] is symbolic. But that symbolism might highlight the uneasy embrace between the world's most powerful economy and the fastest-growing and largest developing one." Since Hu last visited the White House in 2006, his country's influence has surged and its relationship with the US is widely recognised as the world's most important bilateral match-up. Yesterday's ceremony and summit came a day ahead of expected official confirmation that China has overtaken Japan to become the world's second largest economy. The summit, the eighth between Obama and Hu in the past two years, is widely seen as a test of how well the two powers can accommodate each other and work together to tackle a series of global issues. A US official yesterday said both sides were expected to reach agreement on export deals worth US$45 billion, including a US$19 billion deal with Boeing in which China will buy 200 Boeing aircraft. Hu, whose trip has been beset by US complaints about Beijing's currency policies, will face an uphill task in showing Americans that China's rise can benefit the US. In a rare concession on a highly sensitive issue, President Hu Jintao used his White House visit on Wednesday to acknowledge "a lot still needs to be done" to improve human rights in his nation accused of repressing its people. President Barack Obama pushed China to adopt fundamental freedoms but assured Hu the US considers the communist nation a friend and vital economic partner. Hu’s comments met with immediate scepticism from human rights advocates, who dismissed them as words backed by no real history of action. Hu contended his country has “made enormous progress” but provided no specifics. Still, his remarks seemed to hearten and surprise US officials, coming during an elaborate visit that centred on boosting trade and trust between the world’s two largest economies. More broadly, Hu and Obama sought to show off a more mature and respectful relationship, not the one often defined by disputes over currency, sovereignty and freedoms. Hu said he wanted even closer contact with Obama; Obama sought again to embrace China’s rise, and the two men shared some unexpected laughs. 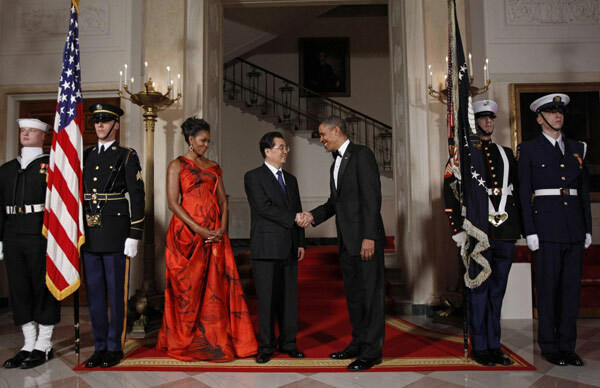 The Chinese president was treated lavishly, granted the honour of the third state dinner of Obama’s presidency. He was welcomed in the morning to the sounds of military bands and the smiles of children on the South Lawn; he was capping the evening at a black-tie White House gala of jazz musicians and all-American food. Eager to show progress, particularly with the unemployment weighing down his country, Obama said the nations sealed business deals that would mean US$45 billion in US exports and create roughly 235,000 jobs in the United States. The package included moves by China to expand US investment and curtail theft of intellectual property. China’s human rights record is poor and worsening, with abuses ranging from censorship to illegal detention of dissidents to executions without due process, according to the US government. In a packed news conference, which was designed to underscore the freedom of speech on Obama’s home turf, Hu was pressed to defend his country’s treatment of its people. He initially did not answer, saying he never heard the question translated, although the White House said that it was. When prodded a second time, Hu defended his country’s promotion of human rights. But then he added that China is enduring challenges as it develops and “a lot still needs to be done in China in terms of human rights.” He said China stood to gain from other countries’ input, saying: “We’re also willing to learn.” For his part, Obama had to find a balance, standing up for freedoms while not overstepping Hu during the uncommon honour of a state visit. Obama said his nation’s relationship with China is bettering the world’s economy and security, and that it cannot stop over “tension” about human rights fairness. Pressing for a more cautious long view, Obama said: “I want to suggest that there has been an evolution in China over the last 30 years since the first normalisation over relations between the United States and China. And my expectation is that, 30 years from now, we will have seen further evolution.” Laced in their comments, however, were reminders that no amount of cooperation would trump each country’s core interests. Charles Freeman, a China expert at the Centre for Strategic and International Studies, said that Hu’s comments on human rights were a minor concession to US concerns. “They have learned over the years that throwing a bone to the Americans is a pretty good way to shut them up,” Freeman said. Sophie Richardson, Asia advocacy director for Human Rights Watch, said China had issued similar rhetoric before but that it added up to little more than a public relations exercise. Earlier, as Hu’s visit was just beginning, Obama was blunt about human rights. “History shows that societies are more harmonious, nations are more successful, and the world is more just when the rights and responsibilities of all nations and all people are upheld,” he said. White House officials said Hu, privately to Obama, expressed the same sentiment about China’s need to do more on human rights. They expressed surprise that Hu made the statement publicly and while overseas. Chinese leaders have typically argued that how the country handles human rights is an internal matter. In private, Obama specifically inquired about the case of Nobel Peace Prize laureate Liu Xiaobo, a jailed dissident who was prevented from attending the December 10 prize ceremony in the Norwegian capital. Obama, who himself won the prize last year, did not mention Liu in his public comments on Wednesday. On another contentious issue, Obama said that the United States continues to believe that China’s currency is undervalued, making Chinese imports cheaper in the United States and US goods more expensive in China. He said Hu has been moving toward a market-based system, “but it’s not as fast as we want.” “President Hu’s concerned, understandably, about how rapid this transition takes and the disruptions that may occur,” Obama said as his Chinese counterpart stood beside him in an elegant East Room crammed with media and dignitaries. “But I’m confident that it’s the right thing to do.” The US president said it was time to stop viewing every issue of the China-US relationship through the lens of rivalry. He made the case that as China grows and expands the living standard of its people, that benefit is not just humanitarian, but economic. And by that he meant good for US companies. “We want to sell you all kinds of stuff,” Obama said to his Chinese guests, prompting laughter. “We want to sell you planes. We want to sell you cars. We want to sell you software.” He also made clear: “I absolutely believe that China’s peaceful rise is good for the world, and it’s good for America.” Mindful of protocol gaffes five years ago, when Hu visited President George W. Bush, the White House seemed to host the state visit without a hitch; that is, except for translation problems that made the news conference long and at times confusing. Hu walked with Obama around the South Lawn grounds during the arrival ceremony and spent time shaking the hands of smiling children, even sharing a moment with the US president’s youngest daughter, 9-year-old Sasha. 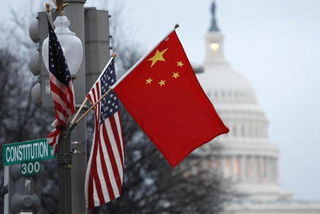 Hu urges U.S. Congress to further facilitate bilateral ties - Chinese President Hu on Thursday called upon the U.S. Congress to continue helping the two countries boost their relations. Chicago mayor Richard Daley introduces his wife Maggie to President Hu Jintao before a meeting of business leaders in Chicago on Thursday. Chicago's Mayor Richard Daley's long effort to build ties with the world's second-largest economy seemed to pay off on Thursday as President Hu Jintao arrived for his first visit to Chicago, his only stop outside Washington during this trip. Hu was expected to focus on economic ties between China and Chicago during his whirlwind overnight visit to the city. Experts said the attention from China has been the envy of other US cities and could mark a gigantic – and profitable – step forward for both parties, despite the sometimes rocky US-China relationship. “Our long range goal is to make Chicago the most China-friendly city in the US,” Daley said during a Thursday night dinner attended by Hu, as well as Illinois Governor Pat Quinn, top city officials and business leaders. Many have credited Daley’s efforts so far. The mayor has travelled to China four times since 2004, touting Chicago as a global transportation hub with large manufacturing and industrial sectors friendly to Chinese business. “Chicago deserves some kudos. It’s clear that he’s [Daley] cultivated the China relationship and he’s learned how to do that very well,” said Kenneth Lieberthal, director of the John L. Thornton China Center at the Brookings Institution. “Mayors and governors around the country, regardless of their politics, see China as a source of potential capital, markets and jobs. So you better be ones looking to have the president of China come here.” Hu, speaking to the Thursday dinner through a translator, also praised the city’s efforts to build relationships through language and business. “Despite the great distance between Chicago and China, our hearts are linked together by friendship,” he said. He earlier congratulated Daley on his 22 years in office, calling him “the most senior mayor in America.” The retiring mayor has largely stayed away from politics in developing a relationship with China. He went to Shanghai last year to headline “Chicago Days” at the last year World Expo. In 2008, he went to the Beijing Olympics to look for lessons for Chicago’s 2016 Summer Olympics bid. He has avoided criticising China for human rights issues and stayed away from US manufacturers’ claims that China undervalues its currency to make its exports cheaper than US products, contributing to high unemployment here. In 2006, Daley pushed for the development of the Confucius Institute in Chicago, a language and cultural centre that started as a small parent-driven Chinese language programme. It’s now one of the largest institutes of its kind in North America; about 12,000 Chicago public school students take Chinese and the institute offers community classes and international exchanges for teachers. While the institute doesn’t have direct ties to business, leaders in Chicago’s Chinatown say it helps forge a connection. “It creates a whole generation of younger students and future leaders to understand Chinese culture and language. 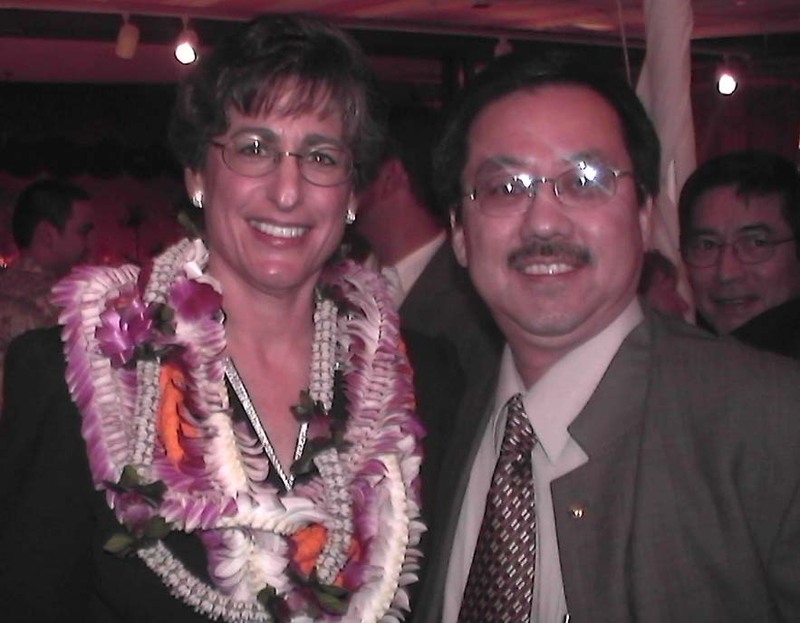 It will help the business transaction,” said Tony Shu, president of the Chinatown Chamber of Commerce. “If you know the language, you’ll find it so much easier.” Hu was expected to visit the institute on Friday, as well as a Chinese business expo in the suburbs. City leaders say Chicago’s sister cities program also has helped. Shanghai and Shenyang have been Chicago sister cities since 1985, and Daley has met mayors of both cities. 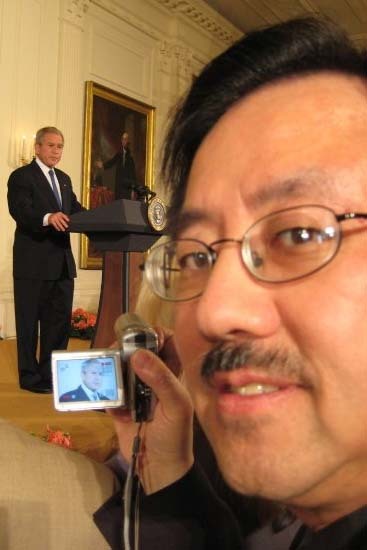 He met Hu at a White House state dinner in 2006, a Daley spokeswoman said. Tom Bartkoski, a director at World Business Chicago, also said Daley deserves much of the credit for the growing economic ties between China and Chicago. Chicago-area businesses such as Boeing, Motorola, Abbott and Wrigley have expanded operations in China. On Wednesday, Obama announced new business deals with China worth US$45 million, including a highly sought US$19 billion deal for 200 Boeing airplanes. At least 40 Chinese businesses now have operations in the Chicago area, and the number is growing. For example, Wanxiang America Corporation, which makes solar panels, has opened plants and a headquarters around Chicago in the last two years. While Daley deserves much credit for Hu’s visit, some experts say it also was a natural progression. Hu visited much of the West Coast in 2006, with stops in Los Angeles and Seattle. There’s also been some precedent for Chinese presidents to see the US president’s hometown. In 2002, former President Jiang Zemin went to former President George W. Bush’s Crawford, Texas, ranch. Others see the Chicago visit as a bit of a surprise since the Chicago area hardly has the largest Chinese population in the US. Roughly 1 per cent of the metro area’s approximately 9.6 million people are of Chinese descent, according to the US census. Six other metro areas – New York, Los Angeles, San Francisco, San Jose, Calif., Honolulu and Boston – have larger Chinese populations. Aside from business, Hu’s visit was expected to help increase awareness of Chicago and tourism. “It gives us much greater visibility in China. They remember cultural icons,” said Dali Yang, a political scientist and faculty director at the University of Chicago Center in Beijing. “We are at a critical turning point. This is to establish the image of Chicago as that destination in their consciousness.” An election to choose Daley’s replacement is Feb. 22. Candidates include former White House chief of staff Rahm Emanuel, who attended the Thursday dinner for Hu, and former US Sen. Carol Moseley Braun. 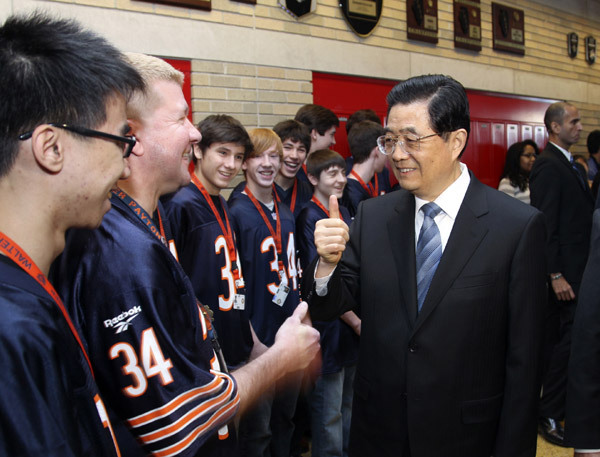 Chinese President Hu Jintao (C) talks to students at the Walter Payton College Preparatory High School in Chicago during the final day of his US visit, January 21, 2011. Hu Jintao garners good reviews for stopover in Chicago - President Hu Jintao was in Chicago for less than 24 hours but his choice of the Midwestern city as a second stop appeared to have hit the right note with Americans. In the national news cycle, Hu's visit to Chicago has receded from front page to opinion pages, even in local papers. But the reports have mostly portrayed it in a positive light, and saw it as recognition of a rising Chicago - a traditional industrial rust-belt city turned sleek financial and cultural centre. The two main purposes of the Chicago leg were to make contact with many key US enterprises that are based there and tout Chinese enterprises doing business in the US that have created jobs for Americans. 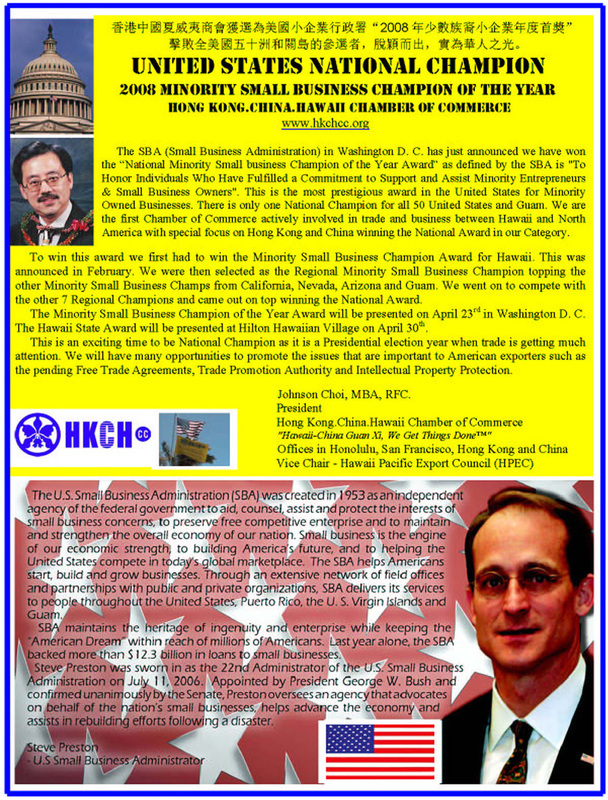 "There are many Chinese businesses that have chosen to locate in the Chicago region, and we appreciate their decision to do so," Mayor Richard Daley said at an exhibition set up by China General Chamber of Commerce-USA featuring nine Chinese companies doing business in the city, from car parts maker Wanxiang America Corporation to Huawei Technologies and China Telecom (SEHK: 0728) (Americas). "Our long-range goal is to make Chicago the most China-friendly city in the United States," he said. While business ties were highlighted, Hu's visit to Walter Payton Preparatory High School could easily have been the highlight of the trip for both him and the audience. At the school he was treated to performances by pupils including a choir and a Chinese handkerchief dance. The school is also home to the largest Confucius Institute - a Chinese-government-backed organisation aimed at promoting Chinese language and culture. Yesterday was a day of examinations at the school, but pupils said they were excited about the visit. "I think it's fantastic to see the president of China, which is like a huge world power, to see him in our school auditorium," Grade 12 pupil Helenka Mietka said. "I've heard negative things about China like human rights and pollution; I don't think I'm well informed enough to judge. But I think it's a good thing that co-operation is going on." Grade 10 pupil Chantae Howell said she was learning Chinese because she thought it would be good for business. She thought the visit was "cool" even though she did not agree with some of the Chinese president's policies such as that on Tibet ; she is planning to sign up for a trip to China in the next school year. Eric Cheung, an immigrant from Hong Kong in Grade 10, said he thought the visit showed that Hu "cared about how schools in other countries are doing, and that he can make schools in China better". He said he was learning Putonghua because he wanted to go back to China to work one day. David Lampton of Johns Hopkins University in Baltimore said in an earlier interview that Hu's visit to Chicago or any Midwestern city "is in some sense as important as a visit to Washington". "One of the big needs for the Chinese is to put a human face on China for the American people. And in Chicago he's [exposed] to more civilian aspects of the American society." Chinese delegation members wave as President Hu Jintao departs for China from Chicago's O'Hare International Airport. The Chinese signed up to buy US$45 billion worth of US goods and were received "with the respect they so deeply crave", an analyst said. Hu's US visit hailed as 'new page' in bilateral ties - As President Hu Jintao's plane touched down at Beijing airport (SEHK: 0694) yesterday afternoon, Chinese officials may well have sighed with relief. The largely incident-free trip was hailed by Xinhua yesterday as "turning a new page in the history of China-US ties", while Foreign Minister Yang Jiechi highlighted the pomp-filled reception staged for Hu at the beginning of his 68 hours in US as a major achievement. "The United States paid great attention to the visit of President Hu Jintao and treated [him] with the highest level of protocol. 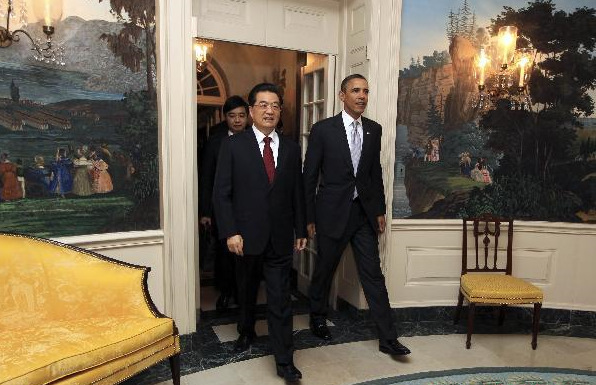 President [Barack] Obama departed from usual practice and hosted a private dinner for President Hu Jintao in the White House. Vice-President [Joe] Biden also attended the welcoming ceremony at the airport in person," Yang said in a statement issued by Xinhua. The Hu-Obama summit on Wednesday was billed by both sides as one of the most important diplomatic events for years. Yang also said the exchanges by leaders of both sides, including reciprocal visits by Vice-President Xi Jinping and Biden, as stipulated in the joint statement, were crucial to enhancing mutual trust in strategic areas. On the US side, the White House cited accomplishments related to security, trade and human rights. China acknowledged concerns about North Korea's uranium enrichment programme, White House spokesman Robert Gibbs said. China also pledged to protect intellectual property, while signing up to a long list of export deals. US officials said Obama's warning that US troops would be redeployed near North Korea if Beijing did not put pressure on Pyongyang had persuaded China to take a harder line with the North Koreans, and opened the door to a resumption of inter-Korean talks, possibly next month. North Korea accepted the South's conditions for talks on Thursday, marking a major breakthrough in the crisis on the peninsula. On the economic front, China's agreement to sign US$45 billion worth of contracts to buy American goods that would support 235,000 US jobs, including a US$19 billion deal to buy 200 airliners from Chicago-based Boeing, was the biggest concession Obama got from his visiting Chinese guests. Commerce Minister Chen Deming assured his US audiences on Friday that China hoped US exports to China would more than double to US$200 billion by 2015 as part of US$500 billion in overall trade. "Our two countries need to sit down and work it out so there won't be such a huge trade deficit and trade surplus," Chen told a business conference in Chicago. "We still have work to do to get to that US$200 billion." Obama said in his weekly radio and internet address yesterday that gaining access to foreign markets was the reason he met Hu at the White House last week. David Shambaugh, director of the China policy programme at George Washington University, said: "I think the Hu visit succeeded in its most important goal: to stabilise the relationship after a year of steady deterioration and to provide some new momentum, in the short term at least, for renewed co-operation between the two governments on a range of issues. "The Chinese side definitely got what they came for: the symbolism of President Hu being received with highest protocol and honours, which provides him personally and China as a nation the respect in world affairs they so deeply crave." But how the visit will shape bilateral relationship in coming years remains unknown. Jin Canrong , associate dean at Renmin University's school of international relations, said: "The summit did not solve emerging new problems as well as long existing ones. "I am not optimistic about future Sino-US relations despite the positive tone of the summit." Piano diplomacy or politics, no strings attached as Lang Lang's ode to motherland wins American applause. 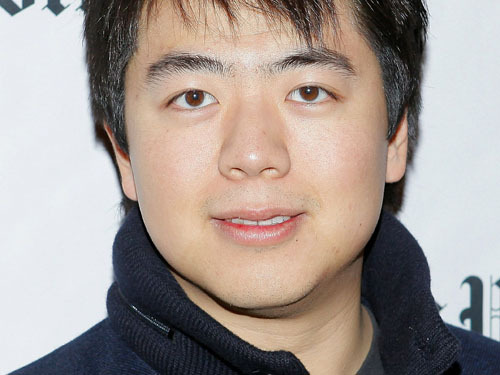 With all the sensitivities surrounding Sino-US relations, even pianist Lang Lang's performance at the White House came under scrutiny - not for his undisputed virtuosity but for one tune he played - My Motherland, the theme song from the 1956 film Shangganling, or The Battle of Triangle Hill. The film depicts Chinese troops fighting the US-led United Nations forces during the 1950-53 Korean war. China watchers mused light-heartedly about whether the tune's inclusion was an oversight or if it was picked to send a subtle hint about the state of the two countries' relationship. My Motherland is popular with nationalistic performers in karaoke lounges on the mainland, having been made famous again in recent years by pop stars and PLA singers including Peng Liyuan , the wife of Vice-President Xi Jinping. While its lyrics make no mention of America, telling only of "wolves" encroaching on the motherland, some speculated that if the song had been played during a Sino-US summit in China, it might have provoked a diplomatic incident. Lang (pictured), writing on his personal blog on Sina.com, said the tune was "the most beautiful song in the hearts of the Chinese. I feel deeply honoured and proud to be able to play this song, which praises China before so many foreign guests, especially leaders from different places." To be fair to the 28-year-old, he may not be aware of the song's background. The other tune Lang played was free of controversy - Laideronnette, a chinoiserie-themed piece from French composer Maurice Ravel's suite Mother Goose, for which Lang was joined by American jazz musician Herbie Hancock. James Fallows, former speechwriter for US president Jimmy Carter, described the piece as a good choice that portrayed the summit's win-win theme. Lang's choice of My Motherland was not picked up on by US commentators. Liu Kang, professor of Asian and Middle Eastern studies at Duke University in the US, said: "For the Chinese, the melody remains a solemn but sweet tribute to the beauty of China's land and people, and the American audience would applaud such an emotion with no strings attached - the Korean war reference went unnoticed."